Many house hunters dream of living in some of Scotland’s most affluent postcodes such as Bearsden in Glasgow (G61), Cults outside Aberdeen (AB15) and Barnton in Edinburgh (EH4). However, a luxury property developer is noticing the fast growing trend for a new emergent hotspot in Scotland – Perth’s Kinnoull Hill. CALA Homes recently launched its’ St Mary’s Gardens development in the sought after area of Perth, created on the land adjacent to St Mary’s Monastery. Offering a selection of roomy four and five bedroom detached properties from CALA Home’s award-winning Signature Range the development presents unrivalled space to its residents – with prices starting from £445,000. 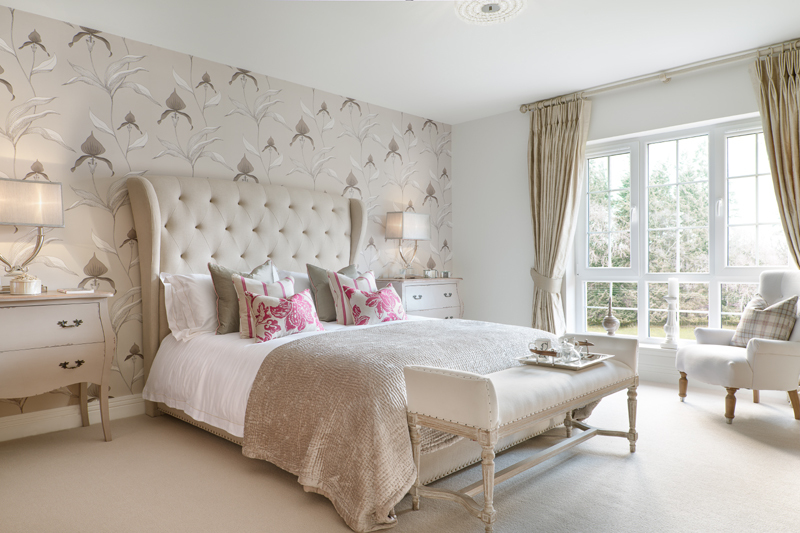 With open plan kitchen / family rooms, generously proportioned bedrooms many complete with en-suites and built-in-wardrobes and attractively sized gardens and driveways, each home has been created to offer prime family living. The property developer has also been inundated with requests from potential buyers all over Scotland who are looking to snap up properties within the exclusive area. Sarah Stanger, Sales and Marketing Director at CALA Homes (East) has been surprised by the volume and geographic spread of house hunters making enquiries. She said: “The development has only recently launched and has already attracted a great deal of attention. “One thing we quickly noticed was the enquiries coming from the length of the east coast with several coming from people based Dunfermline, Dundee, Broughty Ferry to Aberdeen. “And we’ve had a good level of enquiries from within Perthshire as well so all the signs are extremely positive so far. “St Mary’s Gardens is the epitome of a prestigious development and we think buyers have quickly cottoned onto this. The development benefits from an idyllic yet convenient location with its properties surrounded by greenery, on the edge of Kinnoull Hill Woodland Park, while also being served by first class transport links to all major cities. The transformation of the six-acres site is one of the most significant developments in Kinnoull for more than 10 years, delivering much needed family homes in the sought after location. When the monastery was granted planning permission for the site, it was hailed as a move which would safeguard its future by allowing an extensive refurbishment of the interior of the B-listed building. For more information contact us on 0131 561 2244 or fill in the simple contact us form below and we will get back to you.